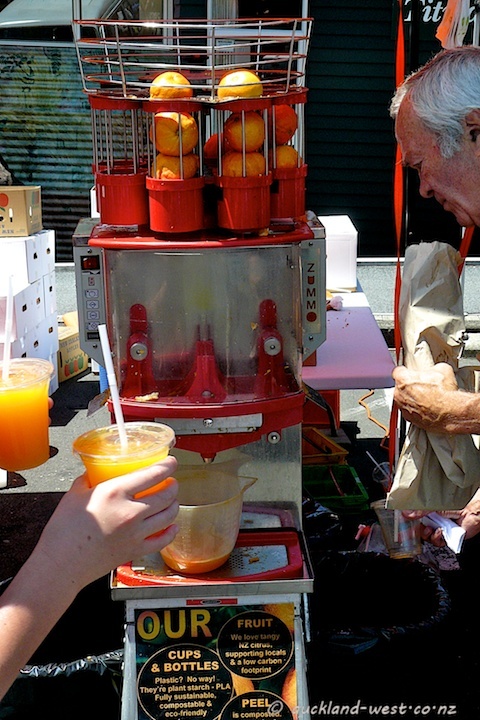 A hot day at the market requires liquid refreshments, and none better than freshly squeezed orange juice straight from this fountain from brucethejuice. Besides, it is fun to watch the mechanism (made in Spain by Zummo), even if you are not thirsty. A regular at Titirangi markets.